As an average Joe, I often have a hard time wrapping my head around investing and alternative ways to make more money. Apparently, it isn’t that wise to just stick it under the mattress and hope that it goes something besides mould. And with all of the hype with regards to investing, saving and, cringe, the lottery, we started wondering which of these are really worth it? Below is a list some of the common ways to gamble or invest in the hopes of making more money and we’ve organised them from what you would consider cheap to a more substantial investment. We‘ve listed the risks vs the investment vs the return that you could possibly yield so that you can decide based on your unique situation what is worth your time and money. The lottery has been around for ages and I’m sure pretty much everyone knows what it is. As time went by a bunch of new lottery games came into play. Today there are instant games such as scratch it as well as the Power Ball which is a bonus game for the lottery. You can even play online and forgo the long lines altogether. Investment – Depending on which game you choose to play you could spend between $0.50 and $2.00 per ticket. Sounds reasonable right? Well, studies show that the average household spends roughly $33 a month on lottery tickets, that’s almost $400 a year. The funny thing is, buying more tickets doesn’t really increase your odds of winning. 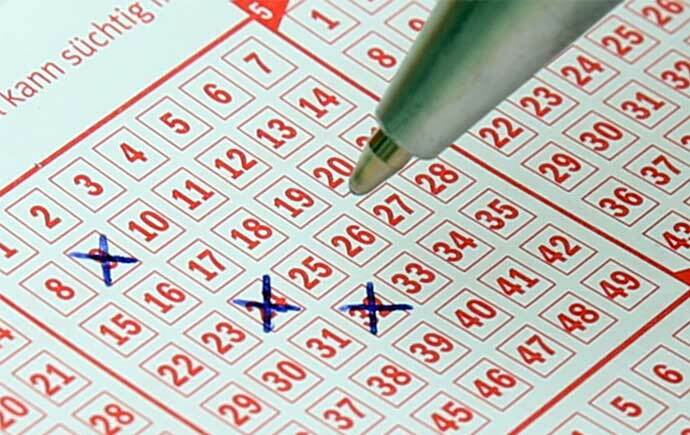 Odds and Risk – The odds of winning the Mega Millions Jackpot are 1 out of 258 890 850. The odds of winning the Power Ball are 1 in 292 million. And buying more tickets only increases those odds by a minuscule amount. But let’s say you do win, you won’t, but let’s say you do, then you, my friend are most likely to go bankrupt in the next seven years. Congratulations. Return –The return on playing the lottery is very little to none, in fact, it could be considered a hobby instead of an actual investment. You would be better off buying a bargain cup of coffee or selling some of your extra stuff online if you want to make some cash instead. And unless you have a substantially stable income and your financial situation is not dire you should stay away from playing the lottery and look into some extra income opportunities instead. Many people mistakenly shy away from the stock market because they don’t understand what it is or how to use it. Simply put, the stock market is pieces of companies, stocks in other words, that are being bought and sold back and forth. The value of these stocks is determined by how well those companies do. So if the company does really well the stocks will rise in other words grow more expensive and be worth more money and the opposite is true as well. As for how to trade, there are countless resources online you can use to learn, but patience is key, you will learn as you go along and become better at trading as well. Investment –There’s not exactly a minimum investment for the stock market however it is recommended that you start with as big of an investment as possible in order to maximize your earnings. There are many investors that start with a small portfolio of around $100, but it really depends on how much you’d like to earn. Earnings can differ depending on what investment strategy you use. Odds and Risk – There is very little risk involved in trading stocks, but it should be noted that it is not entirely risk-free. Mind you, nothing in life is entirely risk-free. However, the stock market has long since been a reliable investment and will continue to be just that. It’s worth putting in the time and effort to learn how to trade. Peer-to-peer lending is a rather new concept, it but is growing increasingly popular amongst investors and borrowers alike. Peer-to-peer lending is when a bunch of investors contribute towards a certain financial goal of others, let’s say a personal loan or a student loan or mortgage instead of the borrower lending from a government institution such as a bank. The reason why it’s become so popular is that the interest rates are extremely high and makes for a better return on investment for an investor. It is usually used by someone with a questionable credit record that would not otherwise have access to the funds if he or she requires. Investment –Peer-to-peer lending portals will require a minimum investment of $1000 but there are additional benefits to investing a minimum of $2 500. This investment will be divided across an x amount of loans, usually 40. $25 dollars will be allocated per loan from your investment, which is why $1000 is the minimum. Odds and Risk –Roughly 8% of lenders default on their payments. That means 3 to 4 out of the 40 months you partially finance we’ll end up not getting repaid. However, despite that, there are people that make a handsome income from peer-to-peer lending. Return –Despite 8% of defaulted payments, you can expect a return of 5% – 8% annually. One of the advantages of peer-to-peer lending is that it pays out monthly and is a constant stream of extra income that is stable, for the most part. Obviously, the bigger your investments are the more you will make. But if you are looking for a full-time income this is not the investment to start with unless, of course, you already have a large amount of money to start with.